FDA-Approved, Non-Avian multi-injection with the highest HA concentration. ORTHOVISC® is a FDA-approved, non-avian sourced hyaluronic acid injection which involves 3 injections per therapy course. It restores the molecular weight, elasticity and viscosity of the osteoarthritic knee to more closely resemble the synovial fluid of a healthy knee. ORTHOVISC® contains the highest concentration of hyaluronan per injection than all other viscosupplements. Patients with known avian allergies may be prescribed ORTHOVISC®. It is injected into the joint in a series of three injections, spaced one week apart. FDA-approved, non-avian single-dose viscosupplement with highest HA concentration. MONOVISC® High Molecular Weight Hyaluronan is a FDA approved single-injection viscosupplement utilized to treat the joint pain caused by osteoarthritis. It is comprised of highly purified, cross-linked sodium hyaluronate in a phospate buffered saline solution and it is both biocompatible and resorbable. It restores the molecular weight, elasticity and viscosity of the osteoarthritic knee to more closely resemble the synovial fluid of a healthy knee. The single injection regimen provides many advantages with decreased visits to the doctor and reduced risk or discomfort associated with multiple injections. MONOVISC® is approved for relief of joint pain in all synovial joints. Cingal is the first and only approved combination viscosupplement formulated to provide the benefit of a cross-linked hyaluronic acid (HA) and a fast acting steroid to effectively treat the symptoms associated with osteoarthritis. Cingal is a powerful, first in-class treatment that combines the benefits of Anika’s proprietary cross-linked HA formulation of Monovisc, with a well-established FDA-approved steroid to treat inflammation and provide additional short-term pain relief. It has a strong safety profile in both an initial injection as well as a repeat injection. One Step Regeneration for Cartilage Repair. 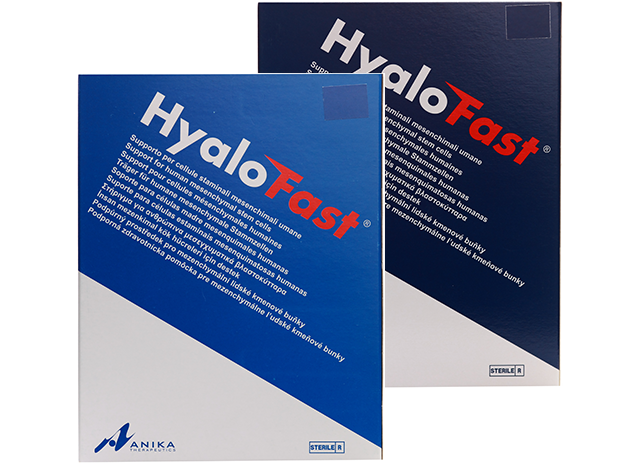 Hyalofast is a non-woven 2X2cm or 5X5cm biodegradable hyaluronic acid-based scaffold for hyaline-like cartilage regeneration. It is used for the entrapment of mesenchymal stem cells (MSCs) to arthrosopically treat both chondrol and osteochondral lesions in the knee and ankle. Clinical data indicates that Hyalofast delivers positive results, enabling patients to regenerate hyaline-like cartilage with the goal of helping them return to daily activities naturally. The HYAFF derivates in Hyalofast have been used for more than 15 years with excellent safety and efficacy results. It can be easily applied in arthroscopy and mini-arthrotomy. 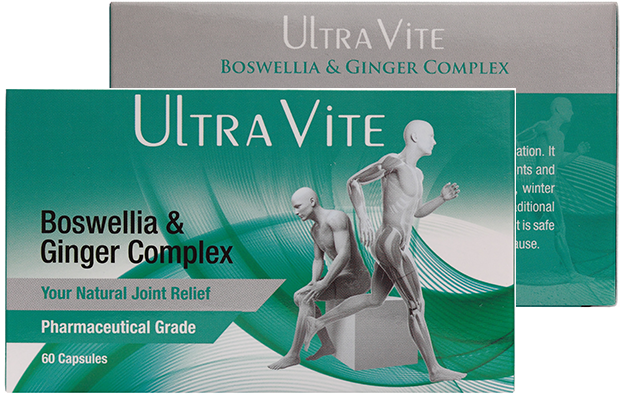 Ultravite’s unique joint support formulation contains four key herbs, Boswellia, Ginger, Tumeric and Winter Cherry that are well-known to support healthy joints and can also be used to relieve general body and muscle aches and pains. It is safe and effective without unpleasant side effects that modern drugs causes. Patients can take one capsule 2 to 3 times daily, with meals or as directed by the doctor. Use for a minimum of 4 weeks for maximum results. 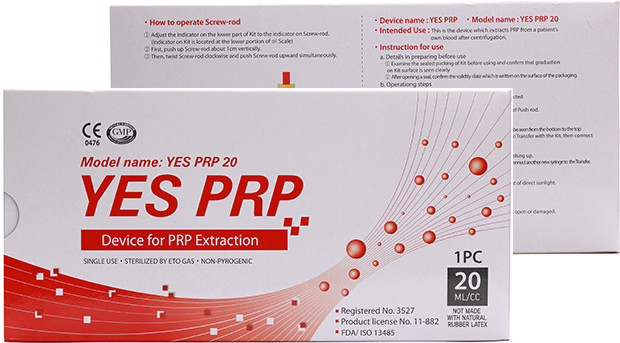 PRP (Platelet Rich Plasma) is an advanced treatment physicians use to repair damaged or injured tissues in the body. This minimally invasive procedure helps initiate the regenerative process by harvesting the growth factors that platelets are known to contain. The treatment harnesses the body’s natural healing abilities without surgery or drugs. The result is stimulation of growth factors, attraction of stem cells and instigation of the healing cascade.